The Arab Air Carriers Organization AACO, established in 1965 within the framework of the Arab League of States, is the Regional Association of the Arab Airlines who have their home based in member countries of the Arab League. In 1996, AACO established an Industry Partnership Program with major Aerospace Manufacturers and Service Providers. AACO cooperates extensively with the International Air Transport Association (IATA) and International Civil Aviation Organization (ICAO). AACO is based in Beirut, Lebanon, and is the airline carrier based in one of the 22 states which are part of the Arab League. The AACO Regional Training Center was established in 1996 in Amman, Jordan. It was expanded in 2000 to have some courses taught in Beirut, Lebanon and Cairo, Egypt. The Regional Training Center offers low-cost training for all AACO members. AACO's most ambitious plans are launched for passengers to have all members� transition from paper tickets to e-tickets by 2007. The AACO is currently working on a regional airline alliance called Arabesk Airline Alliance consisting of 9 airlines, all members of AACO. Airlines will integrate their schedules with each other to allow convenient connections through each other's networks. Each airline will be linked to more than 500 destinations around the world. 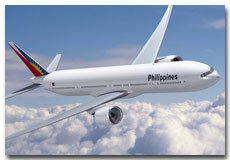 The alliance will also involve code share agreements as well as frequent flyer program agreements.